Which Would You Choose: Clutch vs. Librarian Look!? 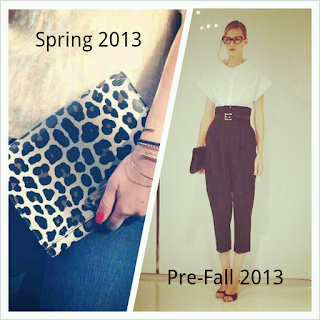 The Spring and Pre-Fall fashions of 2013 are circulating cyber space like wild fire. It is nearing time for Spring to start being retailed and designers are in a hurry to get feedback on their pre-fall designs and begin production for wholesale. In the process, I've run across a Marc Jacobs Spring 2013 all in one clutch and a Michael Kors Pre Fall 2013 entire look. And cannot decide which I like more! Which would you prefer?